About Institute | Institute of Hotel Management, Catering Technology & Applied Nutrition. The Institute of Hotel Management (IHM), Catering Technology & Applied Nutrition, Dehradun (ISO 9001 : 2008 and HACCP Certified) is an Autonomous Institute setup by the Ministry of Tourism, Government of India under its Grants-In-Aid Scheme. The institute is running under the registered State Government Society & managed by Governing Body, started its first Academic Session from July, 2006. IHM, Dehradun is the latest hotel management institute in the country, awarding 3 year B.Sc. 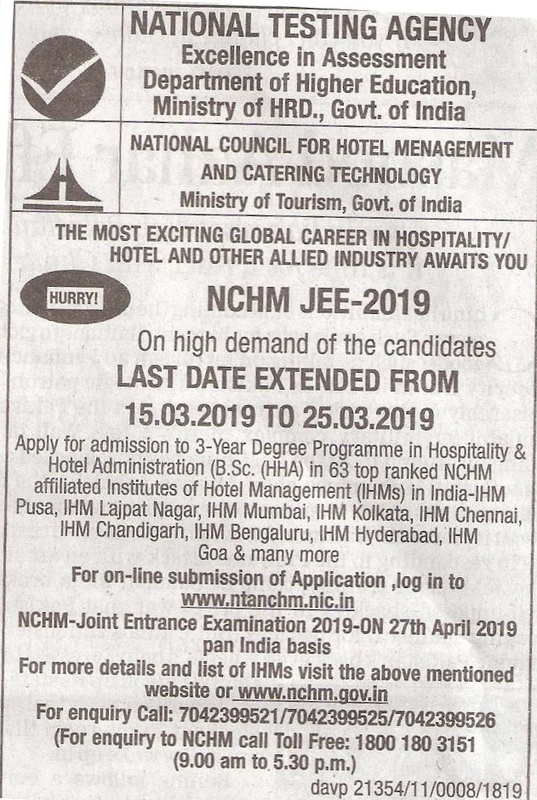 Degree in Hospitality & Hotel Administration jointly offered by National Council for Hotel Management and Catering Technology (NCHMCT), Noida (formerly PUSA, New Delhi) & Indira Gandhi National Open University. The Institute also offers various Short Term Courses. The Institute is fully equipped with appropriate laboratories and classrooms for students to acquire the required skill standards in the Degree & Diploma Programs. Institute is also well equipped with labs, classrooms, guest rooms, library etc for dissimulation knowledge, attitude & skill to the students. Faculties are qualified who specialize in dissemination of knowledge in their respective fields of expertise.